After your registration for a doctorate at ETH, the Vice-Rector of Doctoral Studies and the Doctoral Committee of the relevant department will prove whether you are directly eligible for a doctorate or whether you have to take qualifying exams. Note that about one-third of doctoral students are required to take such exams. The exact details of the admission requirements are decided upon by the Doctoral Committee for the relevant department, in consultation with the thesis supervisor. After the aforementioned authorities have taken a decision you will be notified, and in case of examination a fee of CHF 120 will be added to your semester invoice. On myStudies the qualifying exams you have to take are listed. On mystudies you can also find the dates for your qualifying exams, which are shown on the examination schedule. In case an exam is not based on a course of the course catalogue, you will have to contact the examiner yourself to agree a date for the exam. You must register for the exam at least one week before the agreed date. To register for an exam log into mystudies, click first on “Functions” and then on “Qualifying examinations”. Then you can enter the date and time of the exam. Attention! Unlike any other student the registration for qualifying exams must under no circumstances be done with the Examinations Office. Please proceed exactly as described above! It is essential that the examination dates are entered in mystudies to ensure that the processing of the qualifying examinations by the Doctoral Administration Office runs smoothly. As soon as you have registered, both you and the examiners will receive a confirmation e-mail. Your grade(s) will be either recorded in eDoz or at the Doctoral Administration Office (depends on the examiner). Once you have fulfilled all the admission requirements and your grades have been recorded you will receive an official confirmation letter from the Doctoral Administration Office. This letter also contains your exam results. Note that if you fail your exam(s) you have the chance to repeat it/them once within six months. In case you fail a second time or your supervisor does not allow you to repeat the exam(s) you will be dematriculated and as a result are not allowed to continue with your doctoral studies. The admission requirements must be met within one year, starting from the date of the admission letter. For more information about deadlines please visit myStudies. Extension of deadlines can be requested using the form “Application to extend the deadline for taking qualifying examinations”. Your request will then be approved (or not) by the relevant department. Important: You must take your qualifying exams before you can submit your research plan. All doctoral students must compile a research plan in which they outline the goals and nature of their doctoral thesis as well as their responsibilities as a doctoral student. The research plan has to be submitted to the supervisor and ideally also to a co-examiner, and must be approved by the relevant Doctoral Committee. According to the “Regulations for Doctoral Studies” (Art. 12, Section 4) submission of the research plan must take place within the first twelve months of enrolment. Extension of this deadline requires approval by the relevant Doctoral Committee. In case the doctoral thesis project is mainly carried out outside ETH Zurich, this has to be specified and explained in the research plan. More information can be found at on the ETH website. The research plan must be submitted along with the approval form “Approval of your research plan” to the Student Administration Office in the relevant department. They will then arrange for the form to be signed and approved by the Doctoral Committee and will forward it to the Doctoral Administration Office. After final confirmation by the Vice-Rector you are admitted to your doctoral studies. Unfortunately, every department at ETH has its own regulations for doctoral studies. Some even have different regulations depending on your actual program. For specific questions, ask the responsible person at your department. It is obvious but the past tells us that it’s actually not: Do never ever copy and paste work. Always be aware of copyright and authorship issues, and assure the integrity of your data and research. The damage that is caused by not obeying to these rules is extensive. Log whatever you do in detail. You cannot imagine how many times you will need to look up the details of your experiments or analyses and how many of the details you will forget! Label everything, from samples and diskettes to folders and printed data or results, together with the date (sometimes we overestimate our memory…). Store all your data in computer files (lists, databases, text files) as it will be easier to look for something if needed at a later time point. Find a good, consistent way to name your files and print the file’s name on every printed version. Keep duplicate records of all data, ideally in two different places (backup!). ETH edited a booklet that will provide you with detailed information. During your doctoral studies, you will probably encounter the feeling that there is never enough time for everything. You are supposed to conduct research, read up on your subject, teach and still find time to eat, sleep, meet friends, do sports and have hobbies. It is not easy. However, if you manage to organize your doctoral studies well you will save yourself a lot of time for your private life. There is usually a lot of stress within groups working scientifically. People seem to work 24 hours a day, seven days a week. Do not believe you are expected to do the same! You can save a lot of time by organizing yourself efficiently and avoiding work or tasks that are not really important. After all, everybody “works” in a different manner and at a different pace. Discover your own working technique and, once it has turned out to be successful, be confident that it is the right one for you. Try to work efficiently and continuously but at the same time don’t neglect your private life. You will need it to maintain your inner balance and not be too focused on the ups and downs in your work. Set deadlines even if they are only for your own purposes and write to-do lists. They will help you defining priorities and keeping the overview. A to-do list should be readily available so that one can check and update it anytime. You will get a feeling of satisfaction from crossing off the things you have done! The following sections comprise a list of good ideas compiled by doctoral students who have just started out and others who are already well into their doctoral studies. Some of the ideas may be useful to you, others may not – so feel free to pick and choose! Allow some time for settling in. If you choose a research topic on your own, you will certainly need more time at the beginning in order to get a rough idea of the area of research you will be working in and define a gap of knowledge you would like to fill. Make a plan of your work – you will not need to follow it exactly, but it helps you to constructively think of your work’s future and break seemingly huge tasks down into manageable pieces. Defining short-term goals will help you to have more control over the progress of your work. Determine the point at which you intend to be with your work in one year’s time, for example, imagining what you should have done by then and what you would still have to do. You will sometimes have to change or modify your plan because something did not work the way you thought it would, or due to a discovery of a new way of treating a problem or a new tool. If you are ahead of schedule (rare, but it happens), do not sit back. Instead, double-check important points and do things you always wanted to do but never had the time for (e.g. read theoretical literature or recent papers). On the other hand, do not panic if you get behind. You are doing research and there are many factors you cannot predict or control. A schedule is meant to help, not terrorize you! Do the easy things or things you know well first. This might be searching for specific literature, designing a piece of apparatus or learning how to use a software package. However, make sure that the things you do are relevant to your dissertation. Studying for a doctoral degree is completely different from studying for an undergraduate degree. Nobody will expect you to study anything in particular; you are fully responsible for what, how and when you learn. Do not focus on everything that sounds interesting – there are too many interesting things. Set your own priorities; the focus of your work will naturally grow as will the workload, which will impact on the time you have left to study. Find one or several colleagues with whom you can discuss your progress and who is willing to give personal feedback. This does not necessarily have to be your supervisor or someone from your research group, but anybody who is experienced in scientific work, who respects you personally and who is willing to share his or her experiences and opinions with you – perhaps you will do the same for one of your colleagues one day! Doctoral seminars, workshops or conferences are good opportunities to meet other researchers, talk about your own project and develop your personal sense of scientific quality. Join them as soon as possible in your postgraduate career. Make a presentation of the work you have planned or your work in progress. It will need some personal initiative and a portion of courage, but it pays off! Additionally, you can contact the author of a paper when you realize that he or she is working on the same/similar subject. This might be useful to your work. In fact this is one major reason why you should read research articles: to find out about other groups/researchers working on topics that are similar to yours. Get to know your research field! If you think a person could help you, tell your supervisor; and if he or she agrees, muster all your courage and contact him or her… Most people will feel honored by your well-prepared and well-thought out questions and help you. Finally, take advantage of the many different professors and groups working at ETH Zurich. If you don’t ask, they might not jump out to help, but if you ask they will probably share their experiences with you. You do not need to work and proceed in the same manner as they do, but combined with your own personal judgment, you will be able to benefit from their expertise. The ability to conduct good and innovative research is something you will acquire gradually during your studies. It is not easy and primarily requires a thorough knowledge of your research field, but also the ability to identify key problems. Communication with colleagues and other researchers is a crucial part of successful research. In addition to the interaction with researchers in your immediate surroundings at ETH Zurich, you will have opportunities to expand your network of professional acquaintances by attending meetings and conferences where the latest work is being presented. Attending a meeting or a conference can reignite your enthusiasm for research and provide new insights. Additionally, it will help you to construct or build up your own perception of the scientific community you belong to and position your own work within the field. Presenting your own work at a conference is a great chance to catch but also gage other people’s interest in your work and get feedback. Moreover, it will help you to find other people working on similar questions and allow you to discuss problems with them. A presentation will significantly affect your progress. Note that there are several societies or institutions that provide travel grants to doctoral students for attending conferences or workshops. This is particularly useful in case the supervisor is not willing to take over (all) the travel and conference/workshop costs. Writing a dissertation or paper is not an easy task, even for experienced writers. Writing is always a “reality check” concerning what it is you want to explain. In other words, if you have troubles formulating something, it is often an indication that you are not fully clear on the matter you want to explain. Thus, writing will also show you what is clear to you and what not. So start writing early. Generally, the text you write should have a well-defined purpose. This may sound trivial but one source of problems in writing might be that you are not fully conscious of the purpose of the text, whether it be a short description for laypeople (such as potential sponsors), a conference paper or a chapter of your dissertation. Do not try to create a perfect version from the outset (nobody can do this). Start with a first draft (or maybe with an outline) and revise the draft until you achieve the desired result. Ask for feedback from your supervisor and your colleagues. Make a visual plan of your dissertation and try to build your text according to that plan. Change the plan during the writing process if necessary. Take extra care with the introduction and the conclusion sections. They might cost you the greatest effort (relative to their length) because they should be precise, self-explanatory and easy to read. Be aware that, based on the introduction and the conclusion, a potential reader will probably decide on whether he or she will continue to read your dissertation or not. The introduction should demonstrate the context of your work and give a clear explanation of its purpose, whereas the conclusion should demonstrate what you conclude from your results, how these results fit into the overall context of research in your field, and furthermore offer some suggestions for further research. Be aware that neither the introduction nor the conclusion should simply summarize the results, nor that a reader is more interested in the outcome than what you have done. Write a one-page summary at the beginning/end (depending on your preference) of each chapter. Be careful with the bibliography and double-check all references, especially any quotations. Try to avoid minor errors and have correct figures. It is crucial that you find one or more persons, ideally your supervisor or maybe other lab members that revise your text and figures and give you inputs and suggestions. Some people even pay for a professional editor to do that but whether this is really necessary is debatable. Teaching at ETH Zurich is to a great extend carried out by teaching assistants (TAs): Students (paid), doctoral students, postdocs, scientific staff. They are important for the quality of much student learning. TAs form an important link between the professors or lecturers and the students; they are not only closer in age but also remember more what it was like to be a student. For the assistants themselves, these teaching duties present an opportunity to practice and develop skills related to teaching, presenting and leadership, which might be of relevance for their future career. When you discuss the research project with your supervisor right at the start of your doctoral project, find out what your teaching duties are going to be – and not only for the first semester or first year but for the whole time of your doctorate. Depending on your department and group, you might have more or less flexibility to choose among different teaching assignments. If you want, you can try to insist on the same teaching duties for at least three semesters so that the possibly extensive preparation for the first time round is an investment that can be used more than once. Negotiate your release from teaching duties, or at least have them reduced, during the last phase of your research work and while you write your dissertation. Find out how much time you are expected to spend on teaching, preparation and grading papers, and carefully consider whether this is reasonable or not. It is also a good idea to find out from the other TAs what the par for the department is; such facts are often useful in the early stages of negotiation. As soon as you sense that you are actually spending much more time than originally agreed, run your own “time and motion study”, i.e. what you do when. Your supervisor, who is often the person with the overall responsibility for the lecture course or laboratory class you teach, is likely to take your case much more seriously if you can present him/her with some “hard facts and figures”. Be aware of the fact that some institutes distribute administrative jobs as well as teaching duties to doctoral students. Whilst you clarify your teaching duties, find out what else is expected of you. It is particularly important for a healthy working environment that everyone gets their fair share and that it is clear “who does what”. Laboratory classes (Praktika): In the first two years of an undergraduate degree, a group of about 12 to 15 students is assigned to one TA in a laboratory class. The TA is responsible for introducing each section of the course, perhaps reviewing some of the experimental design, organizing the laboratory, helping the students with apparatus, and marking and correcting lab reports. In advanced stages (years 3 and 4), TAs are more likely to have to supervise students on an individual basis. Exercise classes (Übungen) (e.g. in mathematics, computer science, engineering): The role of the TA in this teaching situation might include running the weekly sessions, providing “tips” for the new set of exercises, asking challenging questions to check the students’ understanding, writing the exercises, providing sample answers, marking the students’ work and giving students constructive feedback. Excursions and field trips (Exkursionen): Excursions do not take place on a weekly basis. They are time-consuming and require thoughtful preparation if the learning is to be effective. The amount of supervision varies greatly from department to department and you may find yourself alone with a group of 12 students for a whole day at a time. Case studies (Fallstudien) and project work (Projektarbeit): This form of student learning is growing in popularity at ETH Zurich and TAs may well become involved in various aspects of it, such as helping to prepare the cases, leading discussions with groups of students working on the case and marking final reports. Supervising a semester project (Semesterarbeit) (in many departments, especially engineering) or a master project (“Masterarbeit”): Supervising semester projects requires the TA to work with one or several students at once with the aim of guiding and helping them to complete a specific project within a given time frame. Supervision of a master project is usually done on a one-to-one basis with an assistant who originally “advertises” the master project. The secret of good supervision for the diploma project lies in finding a balance between providing supervision and guidance to the student and encouraging an independent way of working. The TA gives good explanations (takes time to explain things, is patient). The TA is helpful (does not put us down when we ask questions). The TA is motivating (praises us) and obviously likes the subject. The TA knows his/her subject matter. The TA is friendly, approachable and creates a good atmosphere in the classroom. The TA gives a good introduction to the class or a new experiment. Of particular relevance are the highly rated qualities of “being helpful” and “giving praise”, neither of which has anything to do with factual knowledge but with the TA’s social competence; in particular the latter quality often gets overlooked in the classroom – just think how good YOU feel when you are told you have done something well! To produce a portfolio of material that shows what has been achieved. This can be most useful for job applications, even if you do not plan to stay in an academic setting. Evidence that you have been involved in activities that require good preparation, didactic and communicative skills, and leadership, and which contain an element of self-evaluation adds an additional and valuable dimension to your résumé. To clarify your own pedagogical and didactic goals for your teaching activities. A Teaching Portfolio can be compared to the visible products of research work (a list of publications and/or a thesis/dissertation) in that it is “evidence” of what and how much has been undertaken in teaching, the level at which the work has been carried out and what has been achieved. Many US universities require the submission of a teaching portfolio in the application for academic positions (postdoc and above) and there are many TA training programs in the US that culminate in the production of this document. Think about collecting items for your own teaching portfolio right from the start of your teaching career at ETH Zurich. Doctoral students are encouraged to continue their education. In this respect, doctoral studies allow students to deepen their knowledge of their research topic, improve their skills in related research areas and general education, and facilitate their integration into the scientific community. Credits are awarded for doctoral studies. One credit corresponds to a study performance of 25-30 working hours. Credits are only issued for a doctoral student’s individual performance. A total of at least 12 credits are required, of which at least one third have to be acquired outside the field of research. 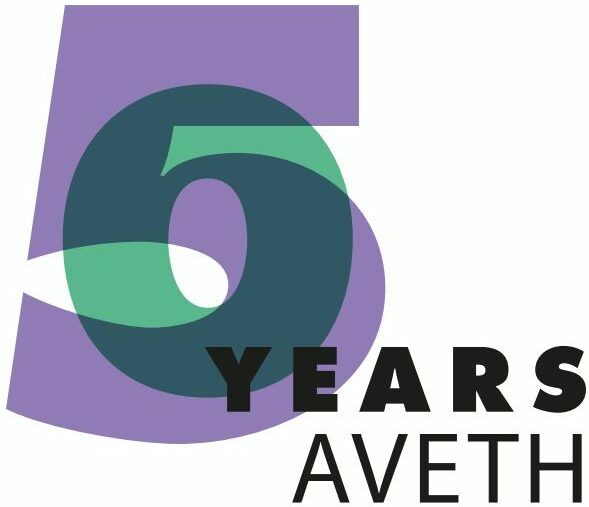 Credits can be awarded for active participation in ETH Zurich committees and task forces (which also includes work for associations like AVETH). The responsible department decides on the issuing of credits. Please contact the responsible department in case of questions. Despite certain similarities, these are not ECTS points, but specific separate credits for doctoral studies. These often do not correspond to the ECTS credit points given in the Course Catalogue. Each department regulates in its detailed requirements for individual doctoral study how many credits are awarded for how much work. Twelve is the minimum number of credits, as prescribed in the “Regulations for Doctoral Studies”. The departments determine for themselves the exact number of credits that have to be accumulated. Please find out from your department how many credit points you have to acquire, or check the detailed requirements for individual doctoral studies. When you register for the doctoral exam, you must provide proof of having acquired the requested number of credits by having the respective form signed by a department representative. Please ensure that the form has been signed before you register for the exam at the Doctoral Administration Office. Confused? Help is at Hand!